PfP is moving ahead with construction of a community garden and playground in loving memory of Robert S. Mallouk, through the generosity of his family and friends. The playground, located in el Bireh at al Yasmin Society will serve children of various abilities and will be accessible. 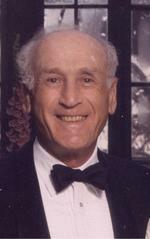 Robert S. Mallouk of Chadds Ford, Pennsylvania passed away on March 28, 2013 at home. Born in Brooklyn, NY, Robert was the son of the late Salim Nicholas Mallouk and Sarah Klat Mallouk. He attended Adelphi Academy in Brooklyn. Upon graduation he entered Princeton University. WWII interrupted his studies. Robert was part of the “greatest generation”, serving our country in the US Army during WW II as a rifleman in the battle of Luzon, Philippines. Returning to Princeton, he graduated with honors, receiving the prestigious Robert Thornton McCay Award in Chemistry. He continued his education at Princeton and earned a Masters of Science Degree in Chemical Engineering. In 1950, Bob began a 36 year career with the Dupont Company,where he developed many patents for the company. He retired in 1986 as head of new business development for Dupont. His second career began at W.L. Gore, where in eight years, he was awared nine new patents for Gore. Bob was competitive and ranked tennis and squash player in Delaware. He was a member of the Greenville Country Club, where he excelled in tennis and paddle tennis and enjoyed many long friendships. Bob was also Vice President of Big Brothers/Big Sisters of Delaware. After retirement, he tutored students at Ferris School. He is missed by his wife Eileen Campbell Mallouk and sons Robert Vincent of Chadds Ford, Pennsylvania and Peter Salim of Denver, Colorado.